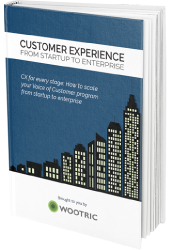 Wootric, the enterprise feedback management platform, was founded with the mission of helping companies win customers for life. We are pleased to be a part of Gainsight’s Technology Ecosystem to help their customers supercharge their CX program. Gainsight customers can use Wootric to take a sophisticated, automated approach to gathering, analyzing, and acting on customer feedback. 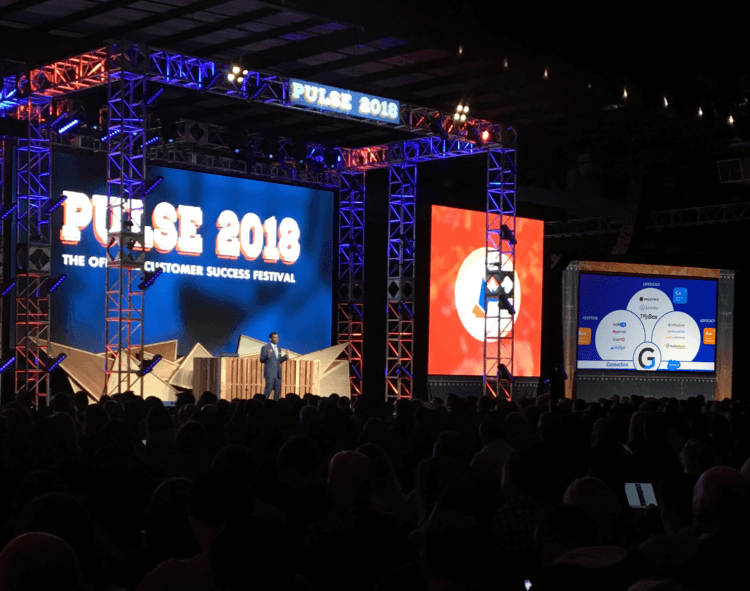 Nick Mehta, CEO of Gainsight, announced the new partner ecosystem from the main stage at Pulse 2018, Gainsight’s conference for customer success professionals, including Wootric as a preferred partner for Customer Experience Management. 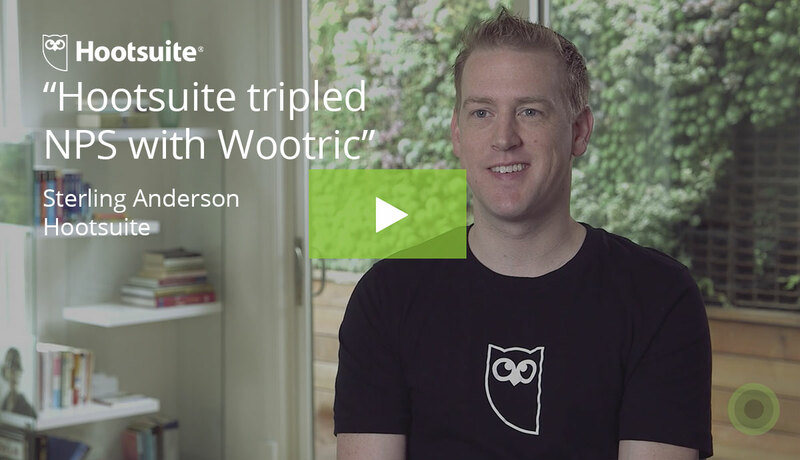 “Both Gainsight and Wootric help companies align around customer happiness. Wootric’s native integration with Gainsight makes us a natural technology partner,” said Deepa Subramanian, CEO of Wootric. The two platforms are integrated for two-way exchange of information and action, maximizing productivity and providing valuable insight to Customer Success champions. Enrich account health data in Gainsight with survey feedback from end users. 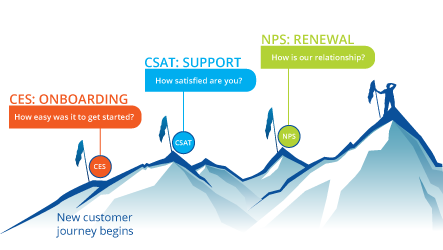 Survey end users inside your product with in-app NPS, CSAT, and CES surveys. See this critical VoC data in at the account level in Gainsight records and analyze aggregate feedback in Wootric for themes. 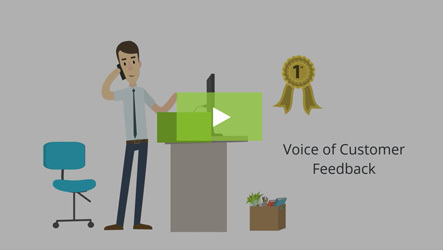 Gather end user feedback at customer journey points using Gainsight workflows. For example, trigger an in-app NPS survey 30 days before account renewal or an in-app PSAT survey when a user upgrades to a new feature set. Results flow into Gainsight records and reports in real-time so CSMs can take quick and informed action. 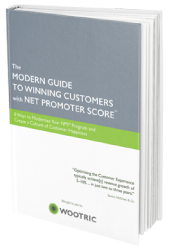 Pinpoint areas for improving the onboarding experience with Customer Effort Score surveys. Ask “How easy was it to get started with us?” via in-app web, mobile, or email surveys. Combine all sources of VoC data- Gainsight, support, user community, social- for auto-categorization, segmentation, and sentiment analysis. Retain more customers when you supercharge your Voice of Customer program. Learn more about the Wootric-Gainsight integration.